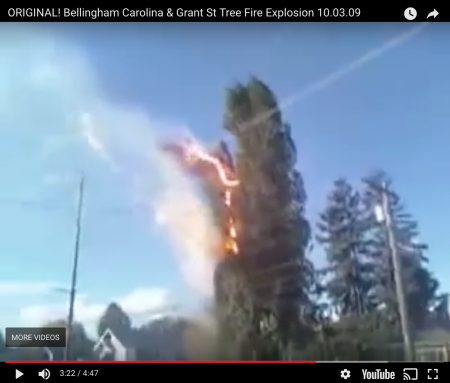 Video of tree against power line reminds us why we should always consider the falling arc, pardon the pun, of any antenna structure. The topic of lightning protection of our radio equipment and everything else in our homes wisely comes up often in the various ham related email lists on the Internet. A particular thread on one of these lists spoke of ways to disconnect coax, rotator control lines, etc. at or near where they come into the building. One implementation described by some fellow used relays to disconnect things so he could through one switch and instantly isolate his radios from the antennas.